Ch Arduino package in C-STEM Studio allows the same C/C++ code to run in both ChIDE and Arduino IDE without any modification. It breaks the barrier and allows anyone to join the Maker Movement. 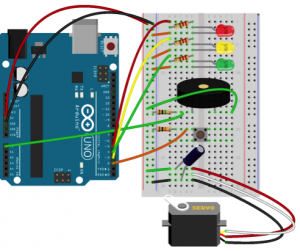 Ch Arduino in C-STEM Studio is the easiest way to get started tinkering with electronics using Arduino. Ch Arduino has the following salient features in comparison with other approaches. 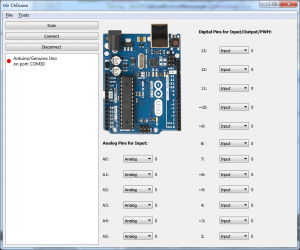 ChDuino has a simple graphical user interface to interact with I/O pins of Arduino boards. It can be used to check the circuitry in a breadboard before running a program. The user-friendly C/C++ interpreter Ch and C-STEM Studio make learning electronics using Arduino boards simple, easy, and fun. 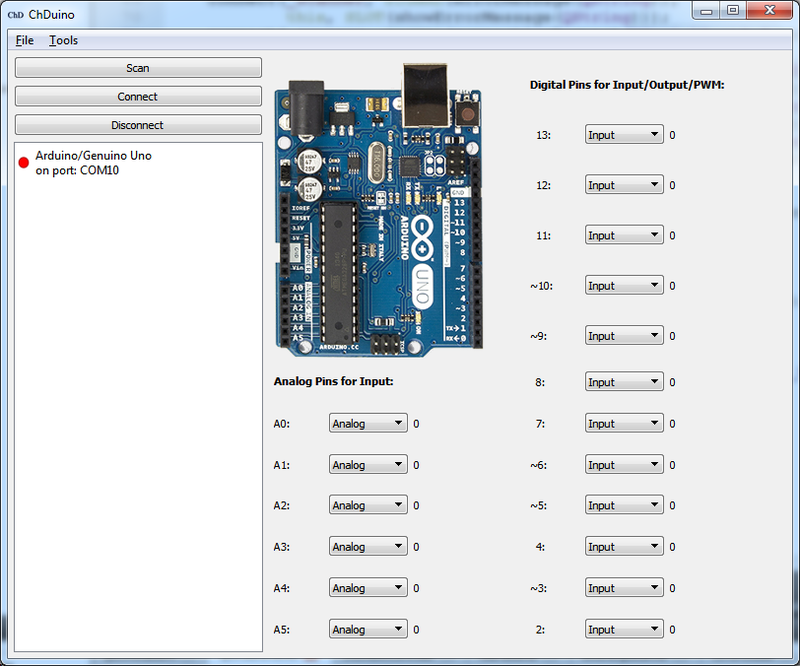 Ch is the simplest possible way to program Arduino using the standard Arduino C/C++ functions, especially for debugging with step-by-step execution of each line of code for conceptual understanding of physical computing. The data acquired from digital and analog input pins can easily and readily be plotted using Ch plotting capabilities for visualization. The acquired data can be readily analyzed by many advanced math and numerical functions in Ch. All existing C/C++ code can readily used for physical computing. The input/output pins can be readily used to control Lego Mindstorms NXT/EV3 and Barobo Linkbots for engaging and exciting activities. 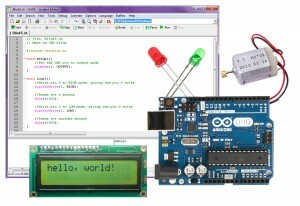 The C-STEM Arduino curriculum can readily be integrated into computer programming, science, and engineering courses through C-STEM Math-ICT Curriculum. The same user interface and programming paradigm across different platforms of Windows, Mac, Linux, and Raspberry Pi. With Ch WiringPi, the similar code can be used to control I/O of Arduino and Raspberry Pi in Ch. Therefore, the knowledge gained from one platform of Arduino and Raspberry Pi can readily be used in other platform. 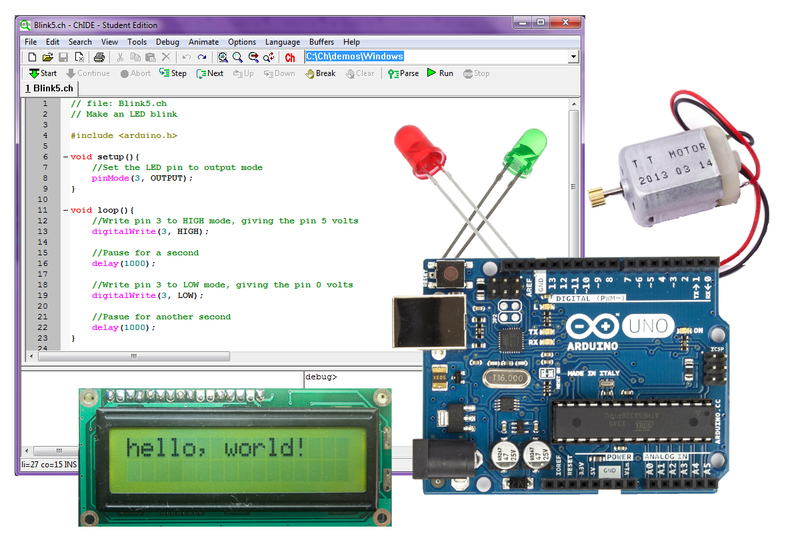 Ch Arduino currently supports Arduino Uno, Arduino Leonardo, Arduino 101, and Redboard Arduino boards. More Arduino boards will be supported, please come back to check other supported boards later. The PDF file of the textbook “Learning Physical Computing with Arduino for the Absolute Beginner” is included in C-STEM Studio. You can get started with the low-cost Barobo Arduino Uno Starter Kit.